Regular annual visits to the OB-GYN can be a linchpin to improving women's heart health, according to an advisory issued Thursday that encourages collaboration with cardiologists and spells out recommendations on how the two can prevent heart disease. More than 90 percent of women have at least one risk factor for cardiovascular disease. At the same time, most women use their checkups with the obstetrician or annual "well-woman" visits to their gynecologist as their primary point of care, according to the joint advisory from the American College of Obstetricians and Gynecologists and the American Heart Association published in Circulation. That makes those visits "a powerful opportunity to counsel patients about achieving and maintaining a heart-healthy lifestyle, which is a cornerstone of maintaining heart health," said AHA President Dr. John Warner, an executive vice president at UT Southwestern Medical Center in Dallas. 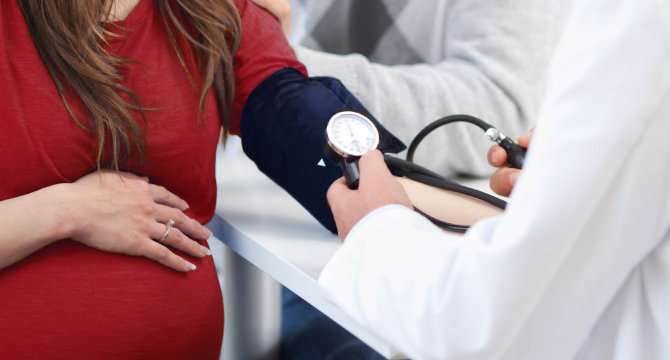 "Pregnancy is essentially a 'stress test' for women, and these adverse pregnancy outcomes can be used to identify women who are at an increased risk for [heart disease], even in those for whom the conditions resolve after delivery," according to the advisory. So, the visits can be a logical place to talk about weight, nutrition, stress and being active, said Dr. Haywood L. Brown, outgoing president of ACOG and professor of obstetrics and gynecology at Duke University in Durham, North Carolina. He said he first began realizing the need for better coordination and communication more than a decade ago while he chaired the OB-GYN department at Duke. Now, there's a "new awakening." "Many women carry these risk factors for cardiovascular disease, and we should be counseling them on lifestyle modification and further follow-up," said Brown, a co-author of the advisory. "Many of them don't see their cardiologist or internist until there is a problem. This partnership is key. It's about early counseling and early intervention." "It's really concerning to us that maternal mortality has been rising, especially the last 10 years," said Dr. Lisa Hollier, professor at Baylor College of Medicine in Houston and chief medical officer in obstetrics and gynecology for Texas Children's Health Plan. She became president of ACOG last week. "I'm really focusing on reducing preventable maternal mortality and homing in on cardiovascular causes, which account for 25 percent of all" maternal deaths now, she said. "These statistics are really part of the call to action. We know we need to work collaboratively with our partners in medicine to provide the best care for women." Developments in software algorithms could potentially analyze electronic medical records and trigger patient education and needed referrals. But any high-tech solution begins with low-tech communication, the doctors said. It's important to correctly record a patient's history of disease, risks and pregnancies and share that information between doctors' offices. "Working it together and having standardized protocols and enhanced screening processes," Hollier said, "would help OB-GYNs and cardiologists bridge the information silos and work together for women."